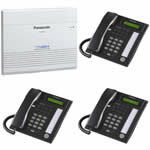 This is a great small business phone system for a small offices needing a reliable easy to use phone system. It comes equipped to support 3 lines and 8 extensions and can expand to a maximum of 8 lines and 24 extensions. It supports Caller ID, door intercoms, music on hold and external paging. We can professionally install this phone system for you in your New Jersey office and can often use the existing station cabling. If you have a business that needs to take advantage of an automated attendant, remote workers or sales and service groups, this is the best fit for you. This powerful phone system is flexible and meets almost any application. It can even provide an "All Agents Are Busy" message to callers during busy periods of the day. 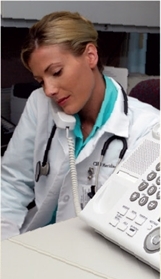 Calls can easily be transferred to external locations like an answering service, cell phone or emergency personnel. The forwarding destination can be changed by voice mailbox or simply pressing a button on the phone. Multi-Cell wireless technology allows IN-building - cellular type communication to be established creating a very large coverage area. This allows you to walk anywhere in a building and talk via a wireless handset. As you move, the call hands off from cell to cell just like a cellular phone. Multiple systems can be combined using built-in VoIP technology allowing call transfer, intercom and line sharing between sites. You can call other locations free-of-charge and allow a single extension to answer calls for multiple offices. When a message is left in your voice mailbox, the system automatically sends an email to your computer or smart phone indicating the time and date of the voice message. Then, when you open your email, you can listen to the message, save it, or forward it. Very productive. 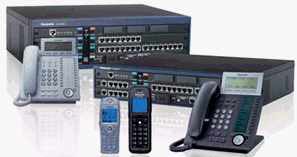 We have many phone system packages to choose from. As an authorized dealer we are not allowed to show prices on some of our top selling phone systems. Our prices are very competitive and our service is outstanding. We have both traditional and VoIP telephone systems that do not require a monthly subscription. They do not rely on your internet connection and will work with your existing phone lines. You can easily connect Fax machines, credit card terminals and postage machines to the system. This reduces your monthly expense and provides reliable communication. Our phone systems meet the needs of many different small businesses. Whether you run a busy medical office, law firm or auto dealership, we have a solution for you. Here are some of the outstanding features available. When used with the automated attendant service, custom service gives you 1-digit access to departments, directions, special announcements or other features. Record a conversation simply by pressing a button. 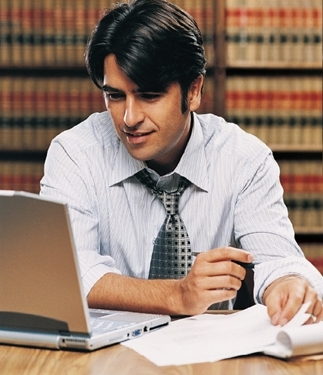 You can capture all or part of the conversation to be transferred for transcribing or filing. Convenient fast-forward and rewind functions make it convenient and easy. Allows the caller to reach the intended extension or mailbox simply by dialing the first three or four letters of the extension owner’s first or last name. Now, you don’t even have to look at your phone to identify certain callers. With Caller ID Name Announcement, you can store up to 200 pre-recorded audio messages that will be played through the telephone’s handset, matching a Caller ID number that is programmed with a pre-recorded message. 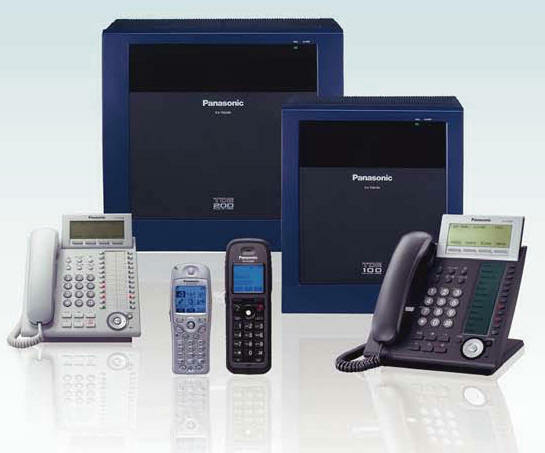 We are a Certified Panasonic Phone System Dealer offering business class phone systems in New Jersey. We specialize in Panasonic phone systems because they are the most cost effective, easy to use and reliable phone systems available today. Our technicians are fully trained to install, configure and support our systems. We also service a variety of other phone systems, overhead paging speakers, elevator phones and voice messaging products. 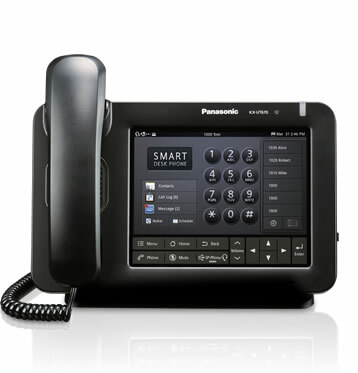 We have installed hundreds of Panasonic Phone Systems throughout NJ. Many of our phone systems come with a two year warranty and are built to last. 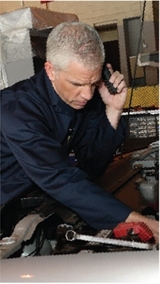 Absolute Communications has been selling and maintaining phone systems for over 20 years. Our goal is to serve each and every customer with honesty and fairness. We maintain long term relationships with our clients and stand behind the products we sell. Phone Systems New Jersey will do it right the first time, every time!